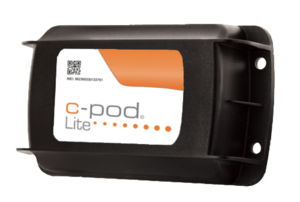 The C-pod Lite Start Kit is all you need to keep track of your asset for two years! You will be notified if the internal battery alarm is lower than 20%. The battery pack is replaceable. C-pod Lite will last for two years without changing the battery. The C-pod Lite has the same size as a deck of cards which makes it easy to hide. The unit comes with a pre-fitted SIM card that has world wide coverage. There are no extra fees for roaming. There are no limit to the number of people you can add to receive alarms. - GPS: 50-channel GPS receiver. - Reports during five minutes, 4 reports per day.